Well, I started the big decoration project, but I didn’t get too far. I forgot that back in high school, I hated when we made the paper mache pinatas in Spanish class. I hate that gooey glue feeling. I don’t know how exactly I forgot, but it definitely came up again as I started to make the yarn ball decorations. I made 1 this weekend. Just 1. I mixed up all the glue (2.5 bottles with 1/2 cup of water, roughly), laid down some paper to keep the floor clean and set up a drying line between two kitchen chairs. I was gung-ho about this. Until I made the first one and felt that gooey glue between my fingers. 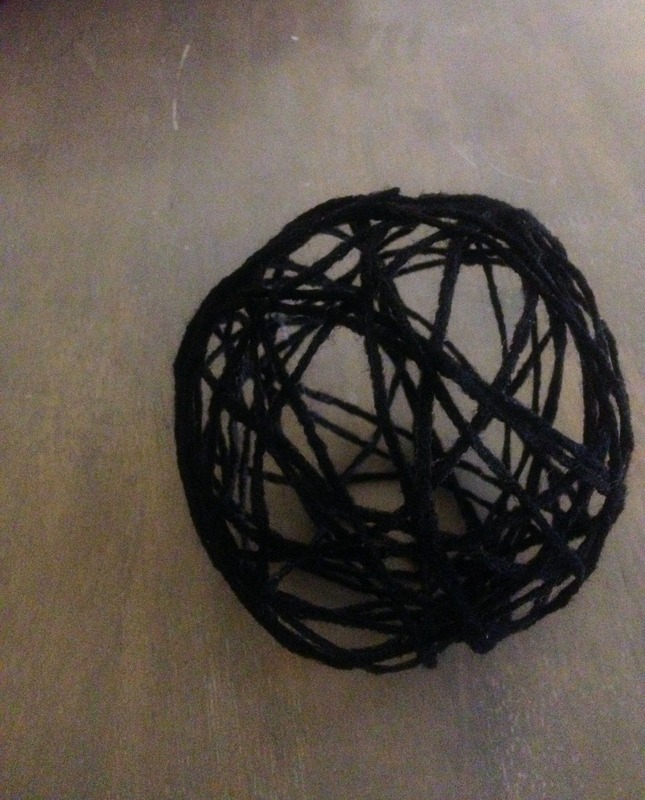 I hung the ball up to dry, put an air-tight closure over the glue, and gave up. My lovely husband says he’ll try to make some today or tomorrow. He’s much more handy than I am and can tolerate different textures a lot better than me. Thank goodness for husbands. I wasn’t able (obviously) to give my mom her shawl for her birthday, so we picked up the movie Hop, which she had really loved last year. She was still thrilled and ended up very generously setting a new deadline for me. Now, I have until Mother’s Day. She said she wants to show it off at the mother/daughter luncheon and at church that weekend. I think I can do this deadline. I’m so close to halfway done with the feather and fan chart. In fact, I may actually be about at the halfway point. I’m still unsure if it’s going to be as big as I want it to be yet. I want a cushy comfy shawl that’ll wrap around her and then have some to spare so that she can curl up in it. This may mean another Knit Picks order; I don’t know yet. 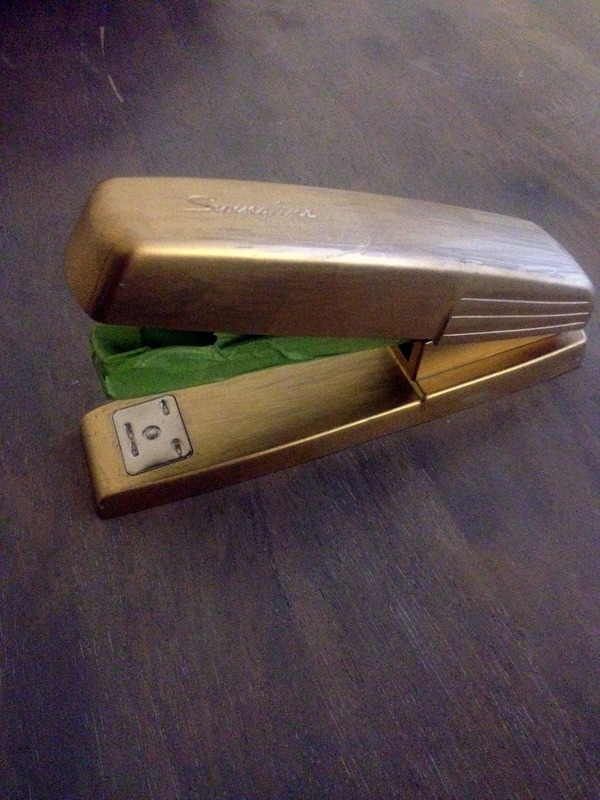 Oh, and I did paint the stapler. I’m thinking it needs a little bit of a pattern over top too. Maybe something tribal or sketchy. Any ideas?